It's time to party with Maisy in this brand-new sticker book! 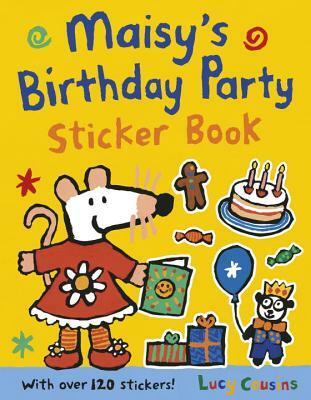 Maisy's fans are invited to take their place at her party, using stickers to fill in the details on every page. There are prizes to add to the treasure hunt, party bags to fill, a room to decorate with balloons and streamers, and a special dress to pick out for the star. Happy birthday to Maisy!